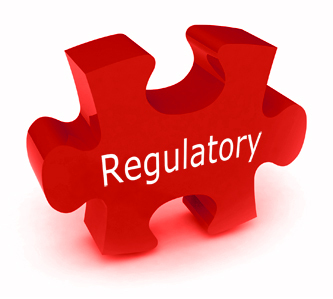 Is the natural product industry regulated? This is a very common question and misunderstood area of natural medicine. For me as a pharmacist and health expert, it is imperative the products (supplements, foods, etc.) that I suggest effective, but that they also are safe, effective and regulated. With this being said, in order for me to maintain my integrity I only suggest ingredients, foods, etc. that have scientific research and the regulations to guarantee any consumer that they will not only achieve the health benefits they seek, but also to have peace of mind/security knowing that they are regulated by the FDA. This regulation involves many levels of FDA involvement such as document reviews on new dietary ingredients, setting up and enforcing manufacturing practices, audits and more. Too often people confuse an adverse events/reports that hit the media as an example of the industry not being regulated. Or, when one bad apple ruins the whole basket. This “bad apple” happens in every industry; Automotive- The recent issue with VW, Pharmaceutical- The recent issue with Vioxx, Fast Food- The recent problems with Chipotle, . These industries are regulated, but as with any business there are always going to be people who cut corners and eventually get caught. Just because VW lied/cheated does that mean I won’t buy a car any longer? No, because I know that the Automobile industry is regulated. In the dietary supplement arena, the FDA has the same powers that it does over the drug industry and therefore add to the safety and efficacy of the supplements available to consumers. Another area that I often see people associate the industry with being unregulated is due to their “Fear of the unknown”. As a pharmacist years ago, I fell into this category. My lack of knowledge and understanding lead me to telling people that herbs and vitamins were unsafe or voodoo. It wasn’t until I learned that there is science; yes double blind, placebo controlled studies to prove certain ingredients worked. Also, the fact that the FDA: does have strong regulations on ingredients being available to consumers, what can be legally stated about those ingredients, the manufacturing practices (Quality assurance, etc.) and that inspections and audits are done to verify all of these are being completed.